This map took me a while to complete, and I really don't want to do anything else with it (make your own version if you wish). It's 2v2v2, which can be interesting. My only concern is that black hand can't reach the middle, but since you always have a team mate, deal with it. Creds to the RA2 original. What are the buildings outside the border? Power plants for the defenses on the center triangle. 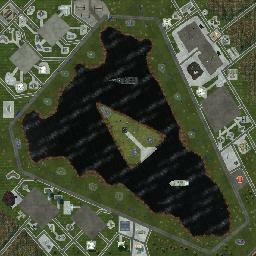 Also, suggestion for your next map.. May Day/Gates Of Kiev. 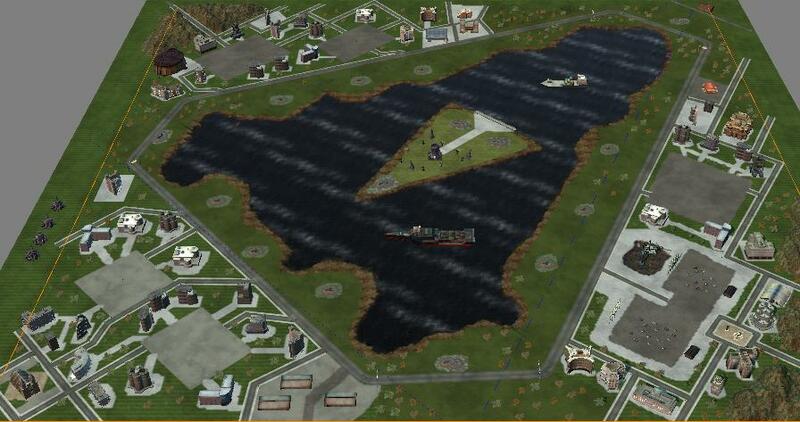 the middle island has a creep base with base defenses, so I put the power plants for them on the outside of the map. The same thing was done in the orginal map. Ah, they use a nuclear power plant EA used. It seems pretty accurate to the original. Its missing a few building locations though. But I know you wont add onto it so good job. lol player civilians finds everyone as enemies? Hmm how r you gonna code the weather storm? Weather storm can be immitated by placing Ion Storms... IIRC, some maps had those, which would periodicly appear and dissapear. I've had enough working with large maps for now, I'm gonna stick with the smaller 2v2s and maybe make a 1v1 or two. I'll take a look at may day, I actually don't remember playing that one. (I could make sedona and Hammer and Sickle by memory though). I fully endorse and invite any remakesd anyone wants to do, just creds to me and the orignal. Nice remake, I like it!